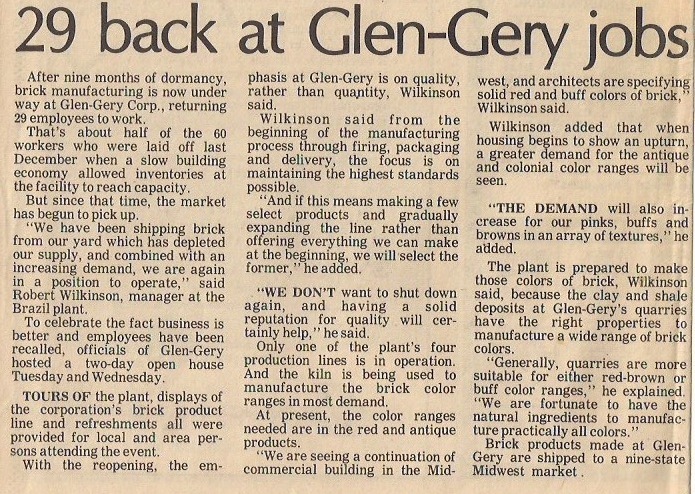 After nine months of being close, the Brazil, IN Glen-Gery Plant re-opened. 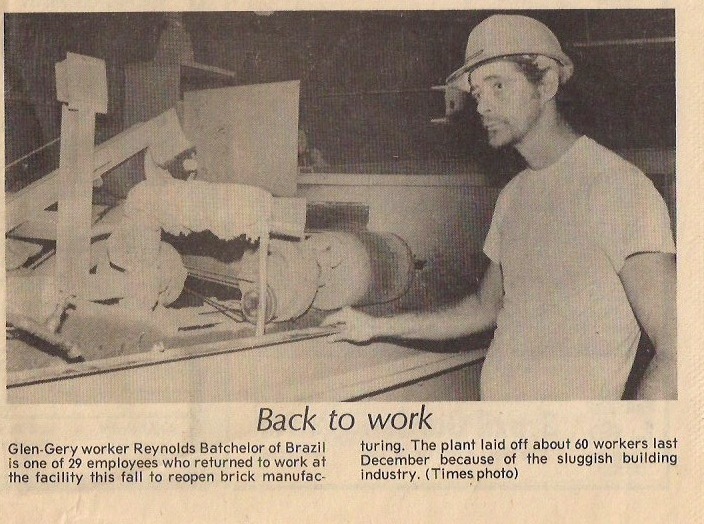 Initially 60 people were laid off and 29 people were brought back. My father, Bob Wilkinson, is interviewed in the local paper. This would have been during the Early 1980’s Recession, also known as the “Reagan Recession”.